I began my adult working life as a Home Economics teacher, and painted in watercolours, mainly landscapes, as a hobby and a way of relaxing. After marrying, I accompanied my civil engineer husband as he worked mainly abroad, making homes and living in a number of countries in the Far East before returning to the UK to care for elderly parents. It was only after these family commitments were discharged that I was able to start thinking about taking up painting again. I had been very interested in botanical painting for a number of years, influenced mainly, I think, by the work of Elizabeth Blackadder whose botanical paintings I saw regularly in Festival art exhibitions, and was fascinated by, complete with coffee stains, obvious alterations, and other marks on them; and yet, the marks somehow far from detracting, seemed to add to their artistic integrity. However, it was only after picking up a booklet for educational courses at the RBGE that the possibility of studying this fascinating and complex form of art became a reality. I have now been painting botanical art for about nine years and attend Fiona Strickland’s class weekly. In 2010 I was asked to join the committee of Botanical Images Scotia (BISCOT) and this has afforded me the opportunity of seeing at first hand, some of the best and most original work being created in botanical illustration today. 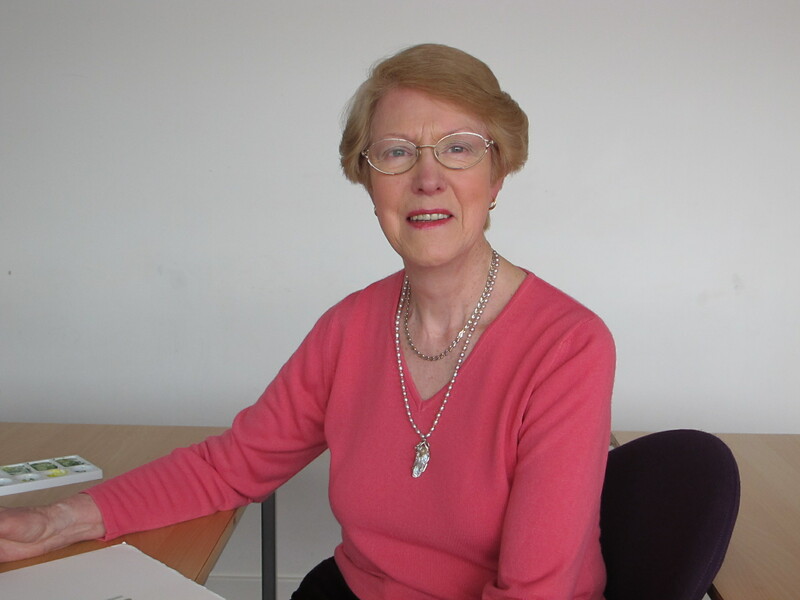 Share the post "Hazel Morris, Chair of Exhibitions Committee"